Welcome to your weekly instalment of And finally - one-stop shop for quickly catching up on all the wearable tech news from the past seven days. 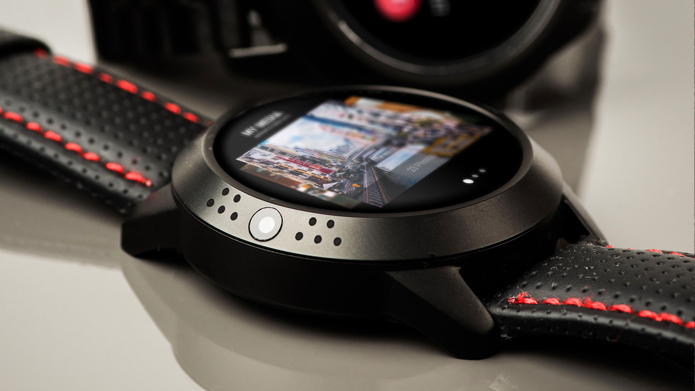 We haven't seen a camera on a smartwatch on note since the halcyon days of the original Samsung Gear. And it wasn't too great a feature on that was it? But it looks as if Sammy's big Korean rival LG still thinks there's life in a wrist-based snapper yet. The guys at LetsGoDigital have uncovered a patent that details a camera integrated into the band of the smartwatch. A few different designs are touted with the camera able to move around so as the wearer can take the best pic. LetsGoDigital are at it again, this time detailing a patent from Samsung to do with smart running shoes. The leather and synthetic shoe detailed in the patent would do all the fitness and activity tracking stuff you'd expect - and there's also a suggestion that AI will be built in for virtual coaching. Samsung, of course, isn't entirely inexperienced in this are - it developed the SmartSuit for the 2018 Winter Olympics. Not to be outdone in the smart clothing department, Apple was granted an original design patent this week for 'Fabric'. This is hot on the heels of a patent at the end of 2018 that detailed smart fabrics within a glove with integrated circuity and sensors that could include a blood pressure sensor, a respiration sensor, a heart rate sensor and others. As well as those juicy rumours above, there's been a fair bit of 'real' news in the world of wearable tech this week. That's not really surprising though as it's CES next week - the busiest week in tech. We knew a new Louis Vuitton smartwatch was coming, and now the luxury fashion brand has revealed its second generation smartwatch that will, once again, be powered by Wear OS. Vuzix also announced that its pair of Blade smartglasses are now available to pre-order - they provide wearers with a view of the real world while concurrently allowing AR images to be shown and managed in a window. Check out our Vuzix Blade hands-on for more info. Finally, Iconic French designer Philippe Starck is once again flexing his designer skills with tech for a wearable that could well end up saving people's lives. Dial takes the form of a flexible and highly resistant waterproof bracelet that houses GPS to help share location data when the surface of the wearable is pressed.